Larger battery allows for longer flight time. Unfortunately the increase of flight time isn’t proportional to the increase of battery size, which means you are looking at something like this. Before we begin, make sure to read the basics of LiPo battery for drones. As the battery gets larger, the increase in flight time becomes ineffective. Eventually it will reach a point where it just doesn’t gain any more flight time with bigger battery (even lose flight time). This is mainly caused by the weight of the battery. Also note that the heavier your copter gets, the less agile it will be. But some people prefer the stability it brings with heavier weight, some would call it “flies like a tank” :). Apart from capacity, there is also C-rating you need to consider, which I shall explain later. The trade off between flight time and battery capacity, makes it more difficult to choose which battery should be used, rather than just “pick the largest battery available”. There are techniques you can use to help with this selection task – creating graphs and mathematical model in Excel, which I found really useful when comparing various products of the same kind. I recently bought some 4S batteries for my FPV tricopter, I will use this as an example. This technique should be useable for any multicopters, including the 250 mini quad. Talking about Batteries, here is a tutorial on how to do LiPo parallel charging. First, list all the batteries with different capacities, brands of the same cell number. You can include their weight, price, etc in your table. For example I was looking for 4S lipo battery for my tricopter and here is the table I created. First, work out what would be the possible max current draw from your motors. I usually just look at the motor datasheet, which should tell you what the current draw is at 100% throttle, times number of motors, and add some margin for other electrical parts, and you have the possible max current draw from your quadcopter. My tricopter has a max current draw of around 30A – 35A, and all of the batteries below meet the requirement. From the above graphs, if I am only going for best performance and not worry about the price, I would definitely go for 2650mah, 3000mah, or 3300mah. Also 4000mah might be a good choice too due to its outstanding value. These graphs tell you some insights into which battery has the highest price/performance ratio, but it doesn’t tell you whether this is the best battery for your RC aircraft, quadcopter or tricopter. To do that, we need to create a mathematical model. This is actually pretty fun to do. By using this model, you will be able to calculate the flight time of any battery. All you need to do is to put in the data of that battery in the excel spreadsheet. Of course, this is only an estimation, but it does give you an rough idea what battery to go for, and save you from spending too much money and time to try each type. First of all, you need to get one battery first, and collect data using it. Basically the data we need is flight times under different loads. You can of course collect some other data as well to help you identify what is the max load your multicopter can take, for example, the throttle value, current etc. In my example, I used a 2200mah 4S Lipo Battery as a reference, and tested the flight times under different load weight (0g, 110g, 220g, 340g, 405g, 515g – all these weights are physical items I can find in the house that’s why the uneven numbers). This is the data I collected from 6 test flights. I always land the tricopter when the voltage alarm beeps, which is when the voltage reaches 3.5V per cell. The column “Actual Capacity Used” is not really needed, but I collect it just to make sure my data is valid. I got that from my charger, when I charge it fully at 4.2V per cell, I know what capacity was used in the previous flight. I then work out “mah / second”, which is the speed of power consumption, and we can draw a graph from this. The good thing about Excel is, it provides an equation from a few dots on the graph. This is probably should not be a linear relationship, but the battery weight falls within this range so it’s close enough for me. So here is the model. “Cap at 3.5V (86%)” is the effective capacity that can be used during a flight. I am making an assumption that the voltage drops down to 3.5V when 86% of battery capacity is used. “mah/s” is calculated from the above equation, we can work out the mah/s for each battery, depends on their weight. And now the estimated flight time is roughly equals to effective capacity divide by mah/s. For example for the 6000mah battery, the effective capacity is 5160mah, and the speed of power consumption is 5.75mah/s, so the flight time would be 898.16 second which is nearly 15 mins. When I worked out all the flight times, I found this interesting relationship between size of the battery and flight time. That’s exactly what we predicted at the very beginning. That’s the analysis I always do when buying batteries. I made a lot of assumptions above, so also do your research on the flight time, ask people for their experience, to verify your theory. Let me know if there is any mistakes in the method, or any better ideas. I ordered my first micro racing Kingkong 110GT and it has a lot of noise at full throttle apparently because of the battery. Stock battery is 2S 350mAh 35C. Lumenier 450mAh 3s 35c Lipo. How would the 3s perform against 2s 50C? Any other mah you would buy for this micro? Going up in cell count basically increases the voltage, and motors will spin faster with higher voltage, making it more powerful. You need to check if your quad can support 3S, such as your motors, ESC and other components if they are also connected to the LiPo directly. If your quad is already very noisy with 2S, it will only get noisier on 3S because the motors spin even faster. You have great content here! Most of the blogs lack of technical information and calcs! Gratz! I have a 210 quad with 2205 2300kv motors, as per specs motors draw 20A per motor. My lipo is tattu 3300mah 35c 3s. quad weighs 613g including lipo. I already flown it for few times, I get around 10 minutes of flight time. I am happy about the way it flies and flight time. lipo get lightly warm(95F) after 10 minute continuous flight time. At rest Lipo was at 84F. My question is, is it ok to continue flying with above lipo? Don’t worry it should be fine, it’s normal for LiPo batteries to get even warmer after discharging. According to sources on the internet, LiPo has a safety temperature range of 0C to 50C (122F). Some drones have there one rechargeable battery so how do I change that to last longer. Hey what battery would you suggest with this setup. Iv been running 5s and 4s and the drone cruses at around 109mph and at punchout does 124mph. My flight times have been very short even cruising around no punchouts. On average i get 2mins flight time with 5s when im on the throttle real hard i get arpund 1 min 30second and the batteries come very hot keep melting cells im serious this thing kills atleast 2 battery cells per week. The 4s batteries are 1550mah 95c and 4s 1500mah at 100c the 5s are 1300mah at 95c and 5s 1300mah 80c just messed up the 5s 80c yesterday has a dead cell now brand new battery flew it maybe 3 times i always come down when the cells are at 3.5v no lower i have 2 different battery power in my osd and a physical voltage alarm attached to the battery all set for 3.5v but i keep frying them. My setup is 4 motors type is f40 pro II 2600kv dalrc 40a esc with 50a burst. Total weight of quad without a battery is 298grams its a 5in mach1 RDQ frame. But what battery size should i be running i do have a few tattu 1800mah 75c 4s batteries the same thing on those blew one side of a cell out last week on one of those. Would like to get this thing in the air lo get than 2 mins max so i can complete a race. Because this thing is a beast i know on 5s this thing is way faster than 4s at 124mph i have not had it clocked on 5s yet but its way faster than the 124mph im sure its hitting in 150mph area because it get so fast the stability is not right and it handels real wierd at those speeds so im going to be racing the 4s and only run the 5s for fun or if im just showing off lol. But what size should i use on a drone pushing 160a to 200a max draw that is all 4 motors combined or 40a a motor to 50a a motor. I cant seem to find one that discharges enough that it doesnt kill the battery. For the kind of speed you are after, it’s pretty hard to get any more flight time without using bigger packs. 100MPH for cruising is pretty hard on the battery. What props are you using? and What sort of current do you draw when cruising, and punching out? I think you should be looking at changing your setup for the type of flying you do, not the battery. hi…i am planning to buy batteries for my fixed wing plane mission ..the requirements of mission states that the flight time should be 45 mins . I need a 30C and I need to fly 100km. I read your infos about LiPo batteries and I would like to share with you my difficulties. I had bought a 3S LiPO 5200mAh 10C (Discharge max 20C). I am just doing some stabilization-test but the battery already last short and it seems that one cell is ruined (the voltage level is always lower than the other two). Moreover, I can not charge it above 11.3V. Did I choose a wrong battery? I am looking for a new one, founding the list below. Which one would you suggest? Is it correct that the 5000mAh should last more than the 4000mAh even with higher C-rate? Of course your battery will short !!! your battery can discharge maximum 52A only while your motor draws 60A. All of them can be used for your quadcopter. The c-rate WILL NOT affect the flight time. So both 5000mah have same flight time and of course the battery will last longer than the 4000mah. I would suggest starting with a ‘good old standby’ cheap battery like a Zippy 5000mAh 3S 30C. Your max current draw with 4 of those motors is only 12×4 = 48amp, and that is full throttle max load. At 1500g all up including battery you should see around 9 minutes of flight drawing down to 10.6 or 10.7 volts. I built a 450 quad (cheap ebay RHD 2212-920kv motors, 1045 carbon fiber props, ZMR450 frame, SimonK 30a Mystery ESC, M8N GPS, pixhawk controller, SiK telem, FPV) that is 1375g including a 3S Zippy 5000mAh 30C, and I get 10-12 minutes of smooth, easy “camera platform” flying on a loiter or position hold mode. 7-8 minutes if I fly it hard in acro mode. 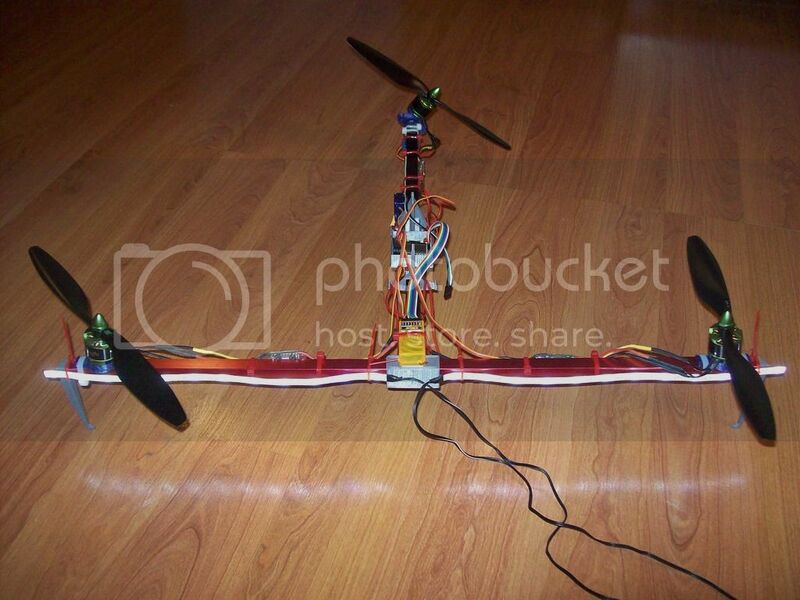 Your motors are 1000kv, I would suggest a 9″ prop instead of the 10″ that I run. Be sure to check/balance all your props. If you’re new, get plastic/nylon props. After you get the hang of it, switch to carbon fiber props. You’ll notice a difference in sound and response…and a little in efficiency. I use imax b6 chargers too. The only thing I have to understand is what battery should I use. Battery capacity * C-rating rate MUST be ,more than motor current draw otherwise your battery would deteriorate very quickly. Try using larger props. If you have a heavy drone then use low KV motors as they provide more torque. My Flying 3d x8 is about 800g and uses 935 KV motors. Use 3000 mAH bettery with 10X45 props. This is one of the best explanations that i have come across so far. Really useful and informative for beginners. I’m trying to build a micro quad around 100-150g. Can you suggest the optimal battery, motor’s and prop that I can use. If you can give me the details i would be really glad for your help. Thanks for this article. It really helped me forward! Could you please add a link to you excel sheets? Uh… thats a negative, ghost rider… your batt is taxed. If you are running 3 motors for a total of 48 amps and your batt only delivers 30 amps, major problems WILL happen. Lets add it all up… 48 amps for motors, a few amps for the FC, a few amps for the radio Rx, some “head-room” usually 5 to 10 percent… So far, we have roughly 52 amps for basic gear, 5 amps for head-room, for a total of 57 amps. I would round that up to 60 amps. Your battery should be rated to put out at least 60 amps continuously… NOT peak rating. For example: 1300mah 45C to 90C. Move the decimal over to the left 3 spaces to convert mah to amps like this: 1300(.0)–> 1.3 amps. Now multiply 1.3 x 45C. The first number in C rating is constant rating, second number is peak and the battery CAN NOT run that much current for very long. So we get 58.5 (amps) and 117 (amps). So now we know that the example batt will deliver up to 58.5 amps continuous and 117 amps peak, for extreme manovers and punch-outs. ALWAYS make sure your battery can deliver more amps than you can use. I like to look at my flying and figure where I spend the most time at what throttle position and either bench test motors and props I am using or look for a data table online and figure out what my motors are pulling at said throtttle position, then do the math as we did above and match a battery with the first, low C rating equal to or larger than the amps I calculated. We are use 8, 1300 kv bldc motor for multi copter and its maximum current rating is 50~60 amp and produce thrust is 1860~2400 grams, so how many mah battry is suitable for long flight time? Hi Oscar I am building my first quadcopter. I want suggesion in using components like propelers,frame,esc,motor,battery. mainly I want to build flight controllers,transmitter and reciever so please help me by sending details needed for that. I am unaware of most of the things so please tell me details. I think there is a mistake on your choice of batteries, you mentioned that you prefer performance rather than the price, but the batteries you chose (2650mah, 3000mah, or 3300mah) have more density and are cheaper than other batteries in the list. it seems like those with higher capacity and less weight are more expensive. thank you very much for this detailed and usefull article and more generally for your awesome blog. I love it ! One of the best I know so far about quadcopters and FPV… even though I am really new to hit as I finished mounting my first quad last week :). Nethertheless I spent several month diggingintensively on many forums, blogs and websites before buying my forst quad. What’s your total weight of the quad? I think you might want to try 6030 props with might give you a bit more efficiency. It is 550g including a 1350mah Lipo. 442g without the Lipo. Hi, i am actually a noob at this so i am asking myself how to build a quadcopter, i just got the motor antigravity 4006 T-motor, prop eller 15*5″, ESC T-motor AIR 20A, and a PDB with max 100A, but i am lost about what battery should i get? somebody could help me this is a project for a class so, i am kind of lost and almost out of time, i have like a month or 2 to do this. i would be really greatful if someone can help me out! “Hi Oscar” I wanted to make a hexacopter which will have around 3-5 kg of payload and flight time around 30 min,so for these purpose which batteries i can use ? I am building my first multirotor. I 3D printed all the parts except the aluminum booms. It it a T shaped tri motor. Without the battery it weighs 506 grams. The motors are Multistar Turnigy MT2213-935KV with 10×4.5 props. The ESC are Afro racing 20A Linear speed controllers, It has a KK Mini flight controller and an Orange 615X reciever, I ordered a Multistar High Capacity 3S 4000mAh Multi-Rotor Lipo Pack. The battery weighs 244 grams and is 10 C. Is this OK? I plan to get other batteries too but I want to know if I Have selected the right size. Here is a picture http://i287.photobucket.com/albums/ll144/Peterthinks/130_0492.jpg The motors are 545 millimeters apart. If you ever want anything 3D printed send me an email I will do it for you, I appreciate the time and effort you have put into making this information available. But your choice of battery is a bit too low in C rating. Not sure exactly how much current your motor/prop will draw without testing, i guess around 15A on 3S at 100% throttle? so max current is 15*4=60A. It would men alt to me If you would like to help me with this! The PCB on the 650 sport will be just fine. My 650 sport pulls almost 80A @ 15V at full throttle, never had a problem with the built in PDB. Trust me full throttle is rarely needed. Since your using higher voltage its even better, less amp draw. Everything you list looks fine. The X rotor ESC’s are great, one of the best on the market. Very fast switching speeds and strong dynamic braking. Big plus that its 6s capable. You failed to mention your prop size. Thats the critical component. Id imagine a 15×5 prop would get close to being right. i am expecting build quad copter with below mention items.what is the suitable batter for this.pls help me. use 5 or 6 inch propellers for that motor. 3S 1300mah lipo should be good for beginners. Hi Oscar, I have a UDI U818a quad that came with a stock battery which capacity is 500 mAh, but that didn’t provide much flight time. So I watched a video on YouTube where guy used a 1200 mAh battery instead of 500 mAh and managed to fly it almost double the time. I bought a 2000 mAh battery with the same voltage as a stock battery (3.7 V), and it’s a bit bigger in width and weighs two times (30g approx.) but that doesn’t quite matter. Recharged it with the stock charger that came in the box until the red LED turned green which means it’s fully charged. Then made sure the transmitter batteries were fully charged which are still brand new and not very used. When I turned it on and after gradually rising the throttle up to about 65% to lift it off the ground it did’t even lifted and it just shut itself down. I soldered a little power switch via one wire leading to the battery connector so I don’t have to unplug and remove the battery in order to turn it off. I turned it on again and did the same thing several times it did’t lift off the ground. I don’t know for sure should’t I left it charging a bit longer regardless of the green light or does it have to do with a tipe of charger itself. Any suggestion? Regards! You mention in your article that you stop when the alarm says 3.5v … I always heard that discharging past 3.8v was bad… ? Any input? Thanks! hi Oscar I’m making a quadcopter that weights about 1300g without the battery. I’m using HobbyFans 30A ESC, 2212 920kv motors with 9443 props, and a kk2.15 flight controller. what battery would you recommend I start with? I’ve exactly the setup you ask about, and 3S 5500 is to heavy (fly only 3 minutes and probably the ESCs get hot). I’ve found that the 3300 mah is very good. Flight time is about 10 minutes, and then low-batt warning initiate return to home. I’ve set the redundant battery capacity for 2 more minutes, so you will have about 12 minutes with a 3300. Probably 4000 – 4500 will be a good choice to, but the 5500 (470 grams) is to heavy. I have Sunnysky 2212 980KV mortors, but nothing else with 25A ESC’s. My motor spec says Max continues current is 15A/30S. Recommendation is like 2200mAh 4s battery. I would prefer bit running time. How do i find the best possible battery? When I calculating the max current, what C rating value we get in to consideration? Burst current or constant? Please help me. From the information you have at the moment, you can only decide on the C rating, and roughly the capacity range you should go for. C rating depends on your total max current draw, and that can be determined from your motor / props combination you are going to use. you have not specify what props you want to use in your question. Interesting read. You didn’t state what battery you would choose and why at the end. I’m curious to see what you picked based on the data. Also, I’m not sure I follow your statement on mah/s VS Load as the weight of the 6000mah battery isn’t in that range. Also, you lost me on the Flight Time VS Load graph and how that correclates to the 6000mah batter you were basing some of your numbers on. I see on the Flight Time VS Bat Capacity that the flight time starts to level off based on the battery size. I assume this is because of the weight of the battery and thus anything larger than the 6000 mah would be useless as you would see no increase in flight times. Motor/ESC/Prop Combo- EMAX Quadcopter 550mm combo- 810kv/ 950g thrust per/1045prop/20A continuous 25A burst ECS/ 440g or .44kg weight for all 4 Rated for either 2S or 3S battery. I believe I want to get a battery that can push 100A or 25Ax4. I am looking as 3s batteries in the range of 5000-5500mAh for longer flight time. What is the recommended battery for this rig? Will the flight controller limit the battery discharge so I do not burn out my ESCs? For example a 5000mAh 20C will give me my 100A. Should I still look for a higher C rating? I have created some Excel charts as above and the results are very interesting indeed. I am trying to make this rig a stable platform with which to shoot video with a GoPro/gimbal which I believe is another 370g or .37kg. I believe that my weight is at just below 2kg before the battery. Feel free to tear apart any of my calculations. I am prototyping an Octocopter and I have a great flying beast weighing in at 40lb with a 10lb payload. It is designed and has the thrust to lift 90lbs. Normal payloads are between 8lb – 15lb for this unit and it is designed to take a real punishment. The problem, as you may guess, is keeping it in the air. I am using a variety of test Lipos ranging from 6S 6000mAh 50C to 6S 15000mAh 30C. These batteries came from China and I don’t trust that they were rated accurately, but the weight and size match the basic specs for Lipos in their perspective categories. My lipo combinations are: 4X6000mAh – 6X6000mAh – 2X15000mAh – 2X15000mAh Plus 4X6000mAh. At full throttle each motor can consume approximately 52 amps at 1150 watts at 8 motors that’s 416 amps at a whopping 9200 watts. That’s a lot for an RC aircraft spanning 1400mm. The motors I’m using are very efficient compared to the market leaders, but give me the power I can’t get from T-Motors or Avroto motors. The actual problem is that I can’t get all of the mAh out of the Lipos. Hovering with a n 11.5lb payload is at 60% throttle and consumes 19amps per motor. No heat at all and everything functions fine. Without the payload the Octo weights in at 28lb and it hovers at between 40% and 55% throttle consuming about 14 amps. I can’t tell you the exact amperage because I am only getting the peak amps at the end of the flight, I have to design a better solution so that I can get real-time data, but I’m also using my motor bench test data here to give a good approximation. During the flight, with or without the payload, I start out at 25V and over the course of the flight the voltage drops off in a nice gentle curve, no erratic behavior. I land when my transmitter telemetry shows 21.3V. As soon as I power off the motors the voltage goes back up to 22.5 volts and within a minute the voltage is at more than 23V. I am getting very short flight times. I should be getting at least 16 minutes but I’m getting 9 min. to 11 min. without the payload and only 4 minutes with the payload. When charging the mA put back into the 15000mAh rated Lipos is only 7000. The 6000mAh lipos only take about 4000. I believe that I could fly longer if I landed after the Lipos reached 21.3 (or even push that a bit) and waited 3 min. – 6 min. Although I haven’t run that test yet, I feel I could get more flight time and maybe drain some more useful current from the Lipos. Somehow the Octo seems to be draining the Lipos faster than they can keep up, but once the demand is reduced, the lipos spring back fairly quickly. I much appreciate any constructive feedback you can offer!! I’m no expert, but I think that those symptoms MAY be cause by the batteries being overdrawn. Maybe their discharge rating was falsely advertised and is not high enough to keep up with how much power you’re drawing. That would explain the voltage sag which recovers when landed, and would also explain the suddenly much shorter flight times when adding a little more weight (which increases current draw from the batteries). Just an idea anyway. i am newbie to quadrotors i have already purchased kk 2.1 board. And i am looking to buy a 450 mm frame to make my first quad, but i want to make a 550 mm quad too and i want to add a cam on it too, my flight time requirements are of 10- 15 minutes, can you help me to select the proper combinations of motors, props ,esc and battery so that i can achieve desired results.And i can use them in both 450 mm and 550 mm quad. Currently I am working on my school project and I need to make similar research. I have built quadcopter with total weight 2200g (including battery 500g, gimbal and FPV). Battery: 5000mAh 25C Zippy Flightmax 4s, motors: AX-2810Q-750KV, props: 11×4.7. I also use an eCalc for initial calculation of my setup, but I would like to understand all the mathematical relations on the background in this field. Could you share with me an excel file or if you have some useful documentation ? Battery cell count can be determine by the motor you use. are you using Sunnysky 2212 1400kv? in that case you will be better off with 3S lipo. Capacity wise, 2200mah to 3600mah should be a good range for your build. You might also want to use smaller props for this motor. 8040 has the best efficiency, but 9 inch props gives you more thrust. 10 inch is probably too big and inefficient. Hi, Oscar, I was getting an average of 18 minutes flying time on my tarot t960 hexa with 2 5400mah tiger lipos In parallel. So thats 10800mah. Is that long enough or should I be getting more? My motors are tarot 5008, 340kv with 1755 props. One more thing, a while ago I flew my hexacopter but the naza low voltage warning appeared after only 6mins on fully charged batteries. When I checked, the other battery wasn’t discharged. There is nothing wrong with my parallel connectors so can you think of anything that might be the cause of only one battery discharging despite the fact that they’re both brand-new and fully charged before the flight? what’s your AUW ? What is the C rating of that battery you are using? Have you not got a voltage OSD? so you can check the actual voltage when the buzzer goes off and verify. that quad must have Gopro and video sistem. That is about 3 kg all together. what battery should i use for that? What voltage, what capacity…? looking at the thrust data provided by the seller. 3KG of weight, that’s about 750g of weight need to be handle by each motor. Taking into account the efficiency lost, I would make it 900g. Assume you are using 17inch prop, you should be able to hover at less than 40% of throttle, current draw should be less than 5A for hovering. assume half of the time you are using 75% thottle to fly around, and the rest of the time hovering, average current draw would be about 12A. (This is purely estimation). The data is rated at 24V, which is a 6S LiPo battery voltage. For 20 mins of flight time, you will need about 6000mah, but of course the bigger battery you get, the heavier it gets as well, so you need to adjust your quadcopter’s weight in the calculation above. So a 6S 6000mah would be a good starting point? if you can reduce the weight, you should be able to get 20mins of flight time with 5000mah according to this estimation. Well, i can’t find any data regarding this motor, and I have not personally used it, so I can’t recommend a setup for you. maybe check with the seller where you buy it from. assumptions are good but at some point battery weight will be too much and your multicopter will not liftoff even if your calculations will predict 20 minutes of flight time with huge battery, so you should accommodate for maximum battery weight. As rule or thumb we always set maximum payload of multicopter so it can lift itself at 45% – 50% of throttle. another problem is with battery performance you set that 25c – 50c batteries are ok . From experience I can tell that cells in each batteries are not equal and some discharge quicker and some discharge slower, for light multicopters you can get away with small C battery rating but for heavier hexa or octo copters you need 65C – 135C or pair of batteries connected in parallel to minimize discharge impact on each cell. About batteries that are too heavy to lift, that’s why I conducted a series of load tests first, to find out what the max weight it can lift (well, I would consider 80-85% throttle Max, so still have room when voltage drops), then select batteries that weights below that.